Home Geek News Mon Dieu Cthulhu! Launches – Swords Against Cthulhu in this Epic Fantasy Series! Mon Dieu Cthulhu! Launches – Swords Against Cthulhu in this Epic Fantasy Series! Today we’re really pleased to announce the release of new fiction titles from our Mon Dieu Cthulhu! universe, swashbuckling swords against Cthulhu in the age of sword, musket and cannon. Written by Modiphius and Achtung! 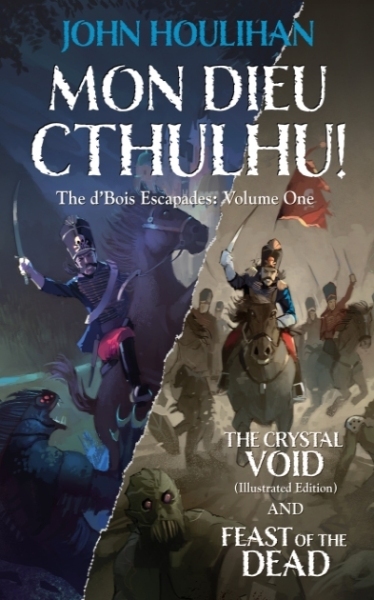 Cthulhu scribe John Houlihan, these books explore the eternal battle against Cthulhu in the age of sword, musket and cannon, as dashing but dim French Hussar Gaston d’Bois discovers that the horrors of the battlefield are not the worst things to encounter during the glorious Napoleonic era. Mon Dieu Cthulhu! 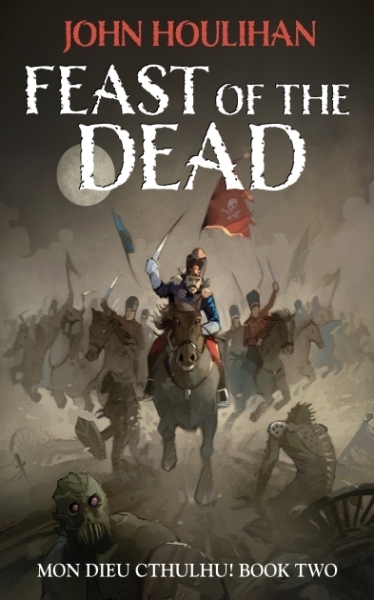 opens with a brand new full length novel Feast of the Dead, which is available on Modiphius.net and DriveThruRPG.com in PDF and paperback, with Kindle and paperback versions also available on Amazon.co.uk/com. 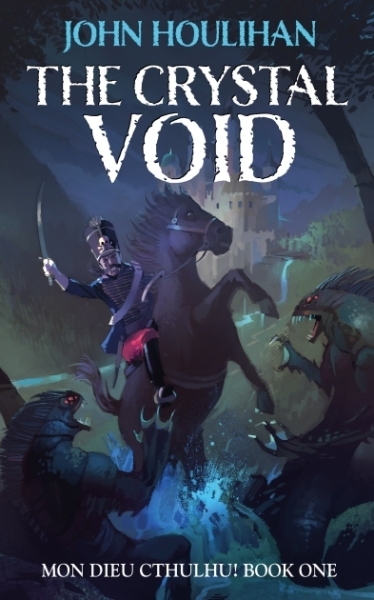 This is a sequel to the original The Crystal Void which appears in a new illustrated edition which is also available on Modiphius.net and Amazon.uk/com. Both are collected in The d’Bois Escapades Volume One, an anthology edition featuring both works and is available in on Modiphius.net and DTRPG.Com and Kindle/paperback on Amazon UK/US. Mon Dieu Cthulhu! is an exciting new roleplaying setting and plans are afoot for a brand new RPG sourcebook for our 2d20 range but this is the perfect opportunity to jump into this exciting new universe of swords, gallantry and adventure. Now on with the details! Forced to take refuge in the Monasterio de St Cloud, d’Bois encounters the unworldly Doctor Malfeas and the beautiful nurse, Mademoiselle Brockenhurst. Yet this former house of the holy holds many outré secrets and d’Bois faces fresh battles on all fronts, including the mystery which lies at the heart of the Monasterio itself, an ancient and terrible enigma which threatens both the lives and souls of all who encounter it. This is the illustrated version of The Crystal Void, with a brand new cover by Dimitri Martin and splendid period woodcut-style illustrations by artist Michael Poole, bringing new life to the story which was originally told in the Seraph Chronicles Volume 2. This first anthology volume of Mon Dieu Cthulhu! contains both the first two adventures, The Crystal Void (Illustrated Version) and Feast of the Dead. We hope you enjoy this forays into this exciting new RPG universe and look out for more Mon Dieu Cthulhu! coming soon! Tags:Cthulhu Mythos · headline · Historical Action Horror · Modiphius Entertainment · Mon Dieu Cthulhu!